Do you want to quit your 9 to 5 job and become a full-time blogger? Just a few years ago, I didn’t know people could make money at home by blogging. It was a new concept to me, but I was definitely intrigued. Now, I’ve been earning a full-time living from this blog for almost two years. It feels like one of those “pinch me” moments and I can’t believe how much my life has changed since I started blogging! 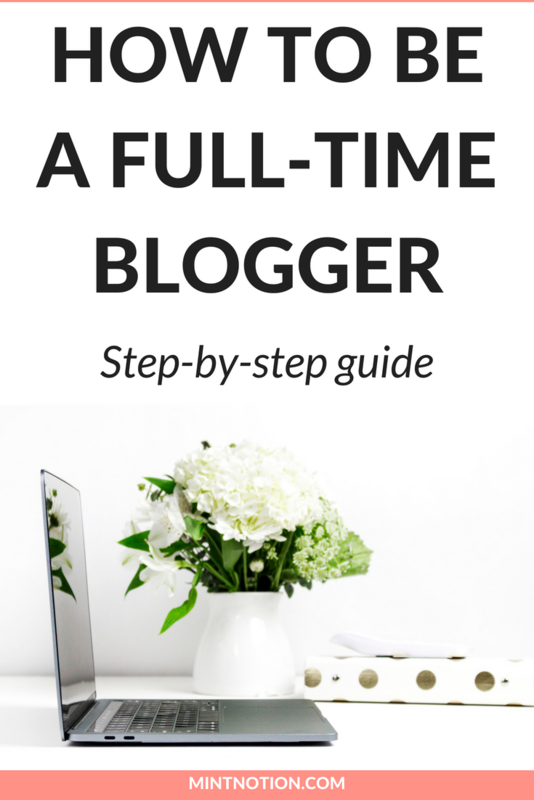 If you’re ready to get started on becoming a full-time blogger, you can head straight to Step One. > Who is your ideal reader? Start a Successful Blog - The RIGHT Way! How do you find where your audience hangs out? I got a job quickly after I graduated from college. It was my first 9 to 5 job, and I was earning an entry-level salary. Because the corporate office was small, I gained a lot of experience and worked with the company’s C-level executives. When I was a kid, I didn’t know what I wanted to be when I grew up. To be honest, I thought I would just get a job at a company and work my way up to the top position over time. Once I graduated from college and got my first real job, I learned that the traditional idea of climbing the corporate ladder didn’t exist anymore. Waking up every morning at 6:00am and riding a jam-packed metro train wasn’t fun. Then, I would get into work and realize that my introvert personality didn’t fit in the office’s extrovert world. I know this sounds strange, but sometimes while I was riding the metro train into work, I would think to myself, “We only get one life and someday I am going to die. Is this how I want to choose to spend my days?” [Commuting to a job I wasn’t happy at and only getting two-weeks of vacation days per year]. To distract myself, I developed an addiction to shopping. I convinced myself that I needed new clothes for work, because it felt like I was wearing the same thing every week. This included new shoes, new handbags, new accessories, and so on. My shopping addiction left me broke and depressed. This absolutely terrified me. I couldn’t help but think that this was becoming my new “normal”. This forced me to do some soul searching and determine what I really wanted to do in life. So, I saved enough money to quit my job and go back to school. Quitting my job was the best decision for me. For the first time in a long time, I felt like I was doing something meaningful with my life. I started this blog shortly after I quit my corporate 9-5 job. I was looking for a creative outlet to help break my shopping addiction, and it felt like God was calling me to start writing. I didn’t know anything about blogging or how to run a blog. I learned everything through trial and error. My blog was just a hobby for the first couple of years while I was in school. Then once I discovered from other bloggers that you could make money blogging, I decided to start treating my blog like a business. In the beginning, it was tough. Even though I had been blogging as a hobby before, I had NO idea how to make money from a blog. It seemed like rocket science to me. I devoured tons of free articles on how to make money blogging, but the best information came from this paid e-course I took. There was no “aha” moment in my blogging journey. 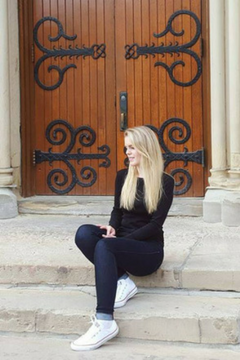 I became a full-time blogger because I worked hard to make it happen. It was my dream to be my own boss and make money doing what I love! Now it’s YOUR turn to make your dream of becoming a full-time blogger come true. The first step to becoming a full-time blogger is to create a game plan. This is the step you need to do BEFORE starting your blog. PRO TIP: You don’t want to skip this step. It’s important for building the foundation of your blog. Once you have your game plan laid out, it will accelerate your ability to become a full-time blogger. This is the hardest step because it’s the first thing you have to do before starting your blog. Isn’t the first step always the hardest? The great thing about blogging is that your website can be about anything! It’s really up to you what you want to blog about. Pretty cool, right? This is definitely not a complete list. The possibilities are endless when it comes to blogging. Still not sure what to blog about? Read more tips here on How to Choose a Profitable Blog Niche. Your blog name doesn’t have to be complicated, but many people overthink and get stuck on this step! My advice is to always keep it simple. Having a catchy blog name is not going to make you more money. Simple names (that are easy to spell) are the best option. I recommend doing a Google search to see if any websites exist with a similar name to the one you’re thinking of using. You’ll also want to check social media platforms (Facebook, Twitter, YouTube, Instagram) to see if the handles you want to use are available. Using your own name as your domain name is a simple choice. 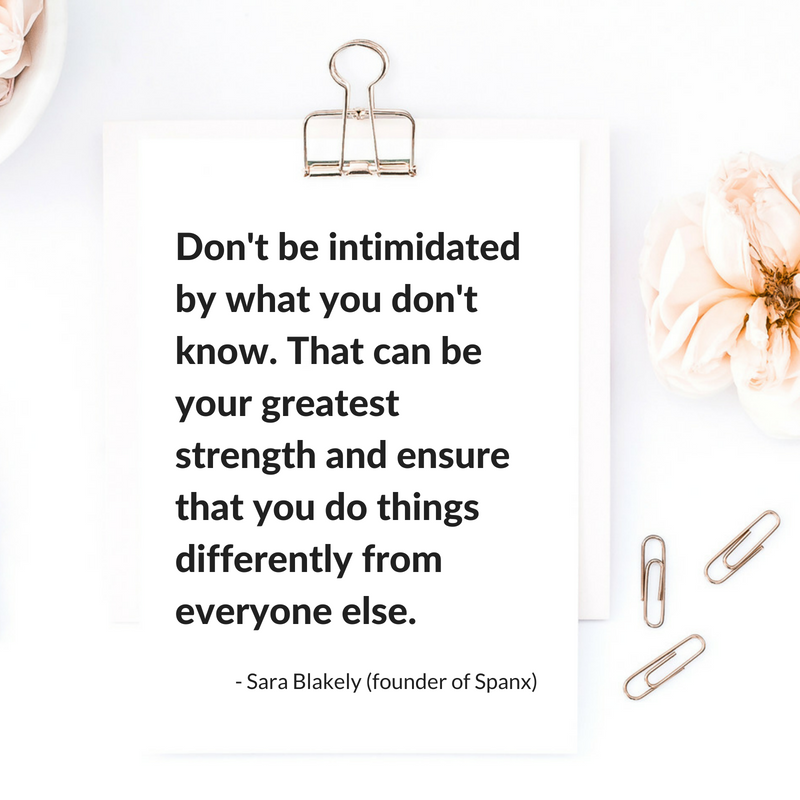 Especially if your blog’s brand is going to be about you – such as you’re an author, coach, or you want to be an influencer. Try to use .com for your website and avoid using hyphens in your name. Short names are often easier to remember than long or descriptive names. Remember these are just my suggestions, and you are welcome to choose any name you wish. This is your blog, have fun with it! Many people don’t even think about this step, but it’s super important if you want to be a full-time blogger. Having a clear target audience can help your blog grow faster and make more money. Not sure who your ideal reader is? Take a look at yourself. Example #1: Someone who wants to get healthy and lose weight starts a fitness blog to share their journey with others. Their blog can inspire others who are in a similar situation as the author. Example #2: Someone who wants to pay off student loans starts a blog to share their journey towards getting out of debt. 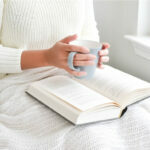 Their blog can inspire others who want to get out of debt too. Example #3: Someone who wants to eat healthy meals at home starts a food blog sharing delicious recipes for couples. Their blog can help other couples who are looking for easy recipes they can cook at home. What is their pain or problem? I know setting goals for your blog sounds boring, but it’s important for building the foundation of a successful blog. Every full-time blogger sets goals for their blog. Setting goals puts you on the right path. It helps you know what you’re working towards so you can become a full-time blogger faster. By starting your blog today, you’ll be miles ahead of everyone else who hasn’t started their blog yet. You can create your own blog here in my easy, step-by-step tutorial. For as little as $2.95 per month, you can start a blog within minutes, plus you’ll get a free domain name when using my tutorial. 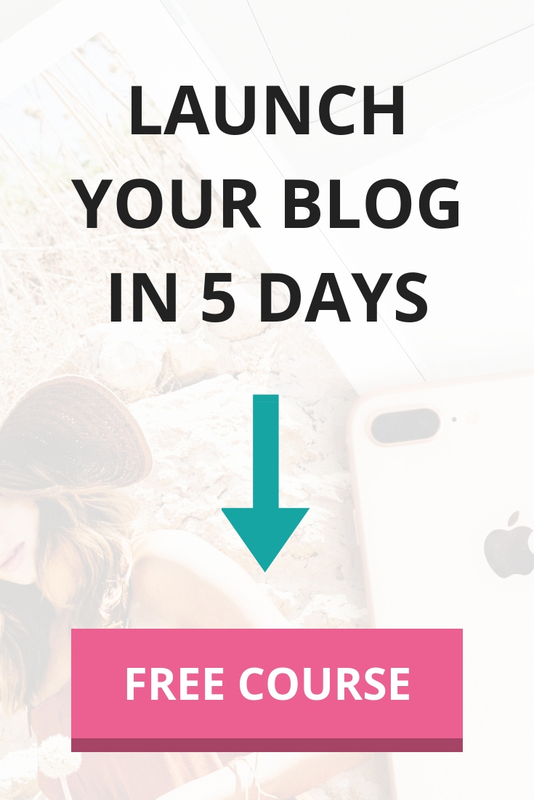 I also recommend signing up for my free 7-day blogging course if you need extra guidance. Success -- you're now enrolled in the free course! Now that you’ve started your blog, it’s time to make it pretty! If you want to become a full-time blogger, I recommend choosing a paid WordPress theme for your blog. This is important for creating a blog that provides a good experience for your readers. I recommend Genesis WordPress themes. This is what I currently use and I love how easy it is to customize my website design. A paid theme also allows you to choose the colors, layout, font, and so on. Paid vs. Free WordPress theme: Don’t worry if you’re not sure which paid theme to get in the beginning. You can choose a free theme for now. This is a great way to play around with WordPress and help you figure out what you want when choosing a paid theme later. You’ll need to create quality blog posts if you want to become a full-time blogger. Don’t worry about perfecting your blog posts in the beginning. The more you practice writing, the better your blog posts will get over time. When writing your blog posts, you want to make sure your content is directed towards your target audience. The best way to do this is to pretend that your audience is a single person and you’re writing an email to him or her (like you’re sending a message to a friend). Your blog posts should have a take-home message. This can be to encourage your reader to take action, inspire your reader, motivate your reader, or help your reader learn how to do something. (For example: I am teaching you how to become a full-time blogger in this post). You want to make sure that your blog posts are free from spelling and grammar mistakes. I recommend using Grammarly, which is a free tool, to help you proofread your blog posts. Still not sure what to write? Grab this free blog post guide here. You’ll learn the 5 types of content that will boost your blog traffic. Now that you’ve started your blog and published a few blog posts – it’s time to drive traffic to your blog! When I first started my blog, I used to think “if you build it, they will come”. Unfortunately, this was a terrible strategy because if you a build a blog (no matter how amazing it is), no one will come. Instead, you NEED to find where your ideal reader (target audience) hangs out, and drive them to your blog. Pinterest is my favorite social media platform to drive traffic to my blog. A lot of my readers hang out on Pinterest, so it’s a great place to share content that my audience finds interesting. Other social media platforms you might find helpful are YouTube, Facebook, Instagram, and Twitter. When people visit your blog, you want to make sure your content is easy to share. This means your sharing icons should be easy to find. I like using Social Pug for this. If you want to increase your page views, make it easy for your readers to check out more blog posts on your website. I like doing this with an easy to navigate menu and sharing related content in my blog posts. You should aim to publish a new blog post once per week. If you go for months without publishing new content, your readers might forget about your blog. Improving your SEO (search engine optimization) will help your blog posts rank higher in Google search. By using these tips, my blog now receives 200,000 monthly visitors! This is all FREE traffic by the way. I have never used paid ads to get traffic to my blog. Still need help driving traffic to your blog? Check out this free traffic bonus guide here. It includes practical tips on how to grow your blog. Want to build a loyal following? Start your email list! Once people start visiting your blog, you want to make sure they can subscribe to your email list. This lets you send them new blog posts, make them aware of special offers, and provide them with quick tips. The best part about building your email list is that you own your email list. Social networks come and go and algorithms can change, but your email list remains the same. Plus, your email subscribers are more likely to be product buyers. This means if you ever decide to sell a product or service, you need an email list. This step is obvious if you want to become a full-time blogger. You need to figure out how you’re going to make money from blogging. 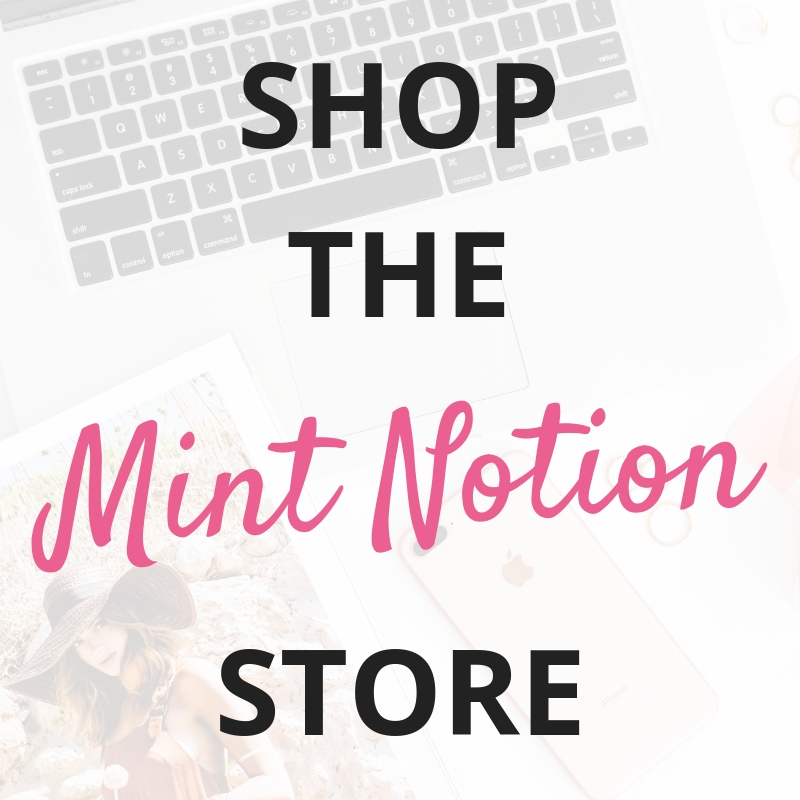 There are lots of ways you can monetize your blog. By combing a few of these popular strategies, you’ll be able to earn a full-time income from blogging. PRO TIP: Don’t put your eggs into one basket. All full-time bloggers have multiple income streams. This means they make money by using at least 2 or more of the following monetization methods. Almost all new bloggers start by making money from display ads. This monetization method is based on page views. The more page views your blog gets, the more money you’ll make. This is where you promote someone’s product or service. You can earn a small commission for each qualified sale you make. This is the BEST way for new bloggers to make money (from my own experience). I took the e-course, Making Sense of Affiliate Marketing, which taught me how to earn thousands of dollars each month from blogging. The most common form of sponsorships is where a brand or company pays you to write a blog post about their product or service. Many bloggers earn a good income by doing brand sponsorships. This is where you sell your own product to your readers. It can be an e-book, an e-course, a physical product, and so on. This is a great way to make money blogging because you can set your own prices. Shopify is what I use to sell my own digital products. You can click here to get a free 14-day trial of of Shopify. There you have it – these are the 5 steps I recommend following if you want to become a full-time blogger. If you haven’t started your blog yet, I know all this information can seem a little overwhelming. Don’t worry. It’s okay to take it slow. I blogged for two years as a hobby before turning my blog into full-time business. Remember that everyone’s blogging journey will look different. The take-home point is to just get started and stick with it. You never know if you’ll enjoy blogging, or being a full-time blogger, unless you start one. 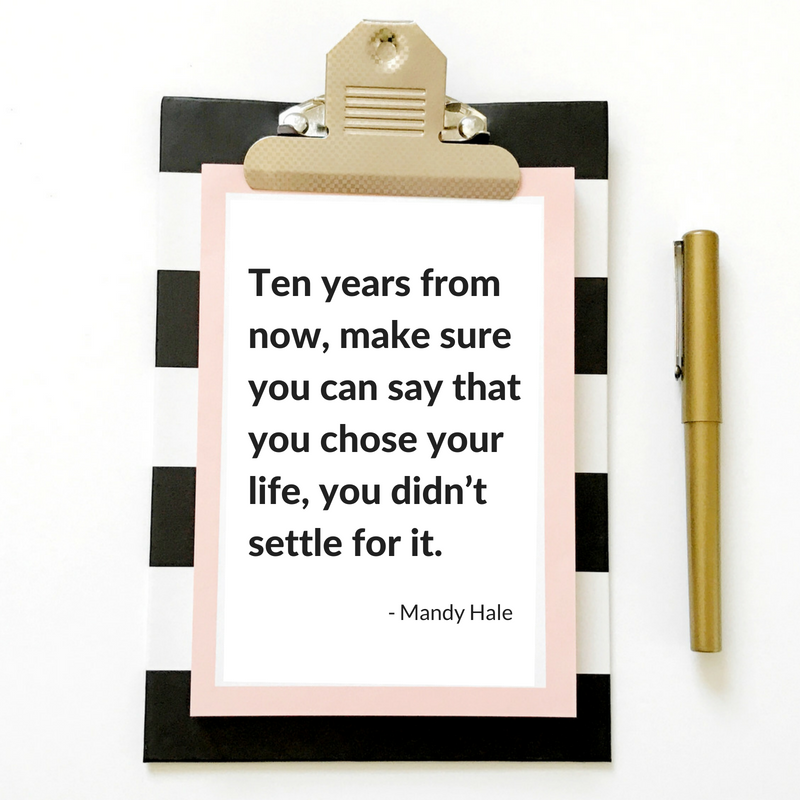 Imagine if you started your blog today, followed the steps outlined in the post, and became a full-time blogger within a year. Wouldn’t that be amazing? Imagine being able to set your own schedule and finally earn a living doing what you love. Imagine being able to make a positive difference in people’s lives. You can make it happen. 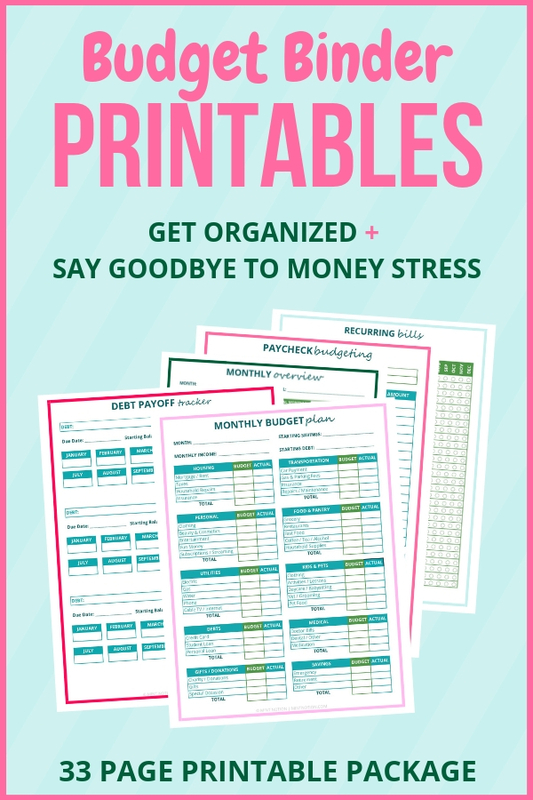 CLICK HERE to download the free printable guide (no email address required). Loved these tips! I have been a “hobby blogger” for a year now and would love to make it my full time career. Thank you for laying out these tips in an easy to understand and apply format! Thanks for reading Ashley. 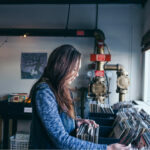 It’s hard work, but you can definitely turn your hobby-blog into a full-time career!